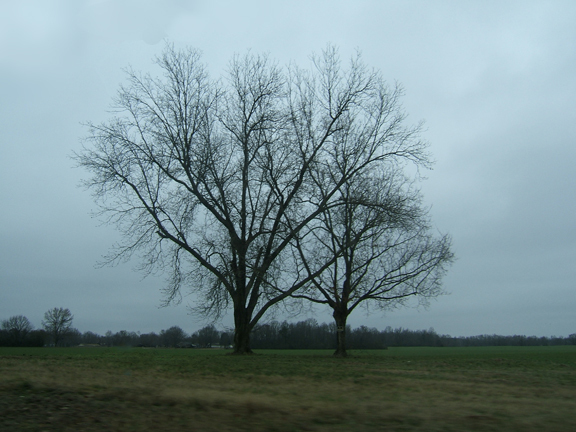 I love the colors of winter and the skeletons of bare trees. 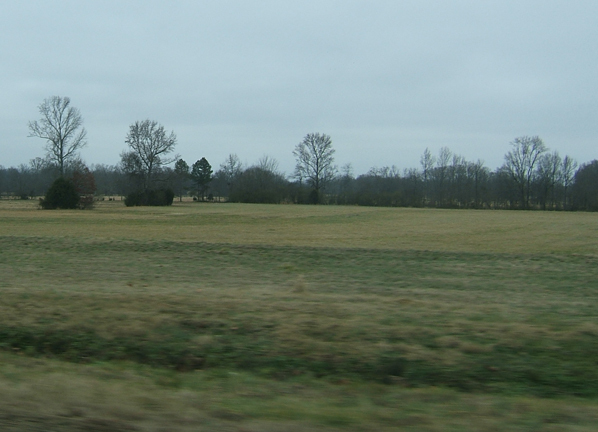 These shots were taken from the car on a quick road trip to the grocery store last week. This is along the highway just outside our neighborhood, where there’s nothing but a few little towns and mostly farmland between here and our favorite supermarket, about a half hour away. If it looks cold, that’s because it was. 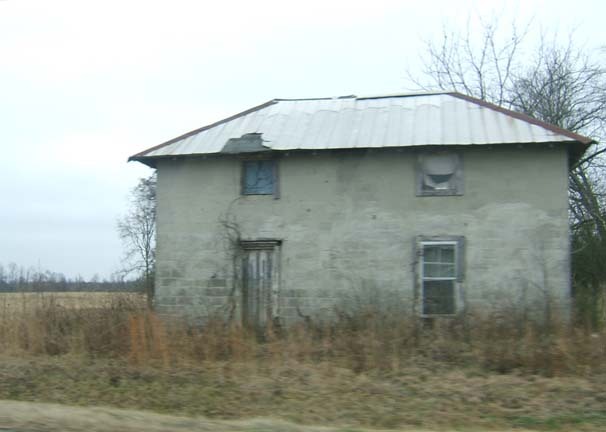 I also love the mysterious old building that sits by the roadside. 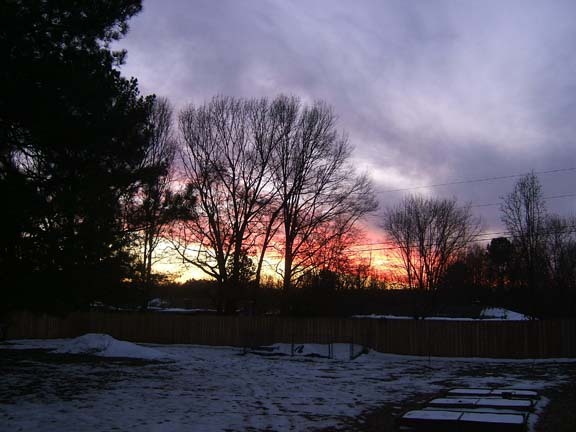 And sunset in my back yard on the last day of the snow. Those are my garden beds in the right hand foreground. It won’t be long before they’re planted again! my goodness, these sights look familiar! my mom lives on sand mountain in dekalb county, and it looks just like your photos. 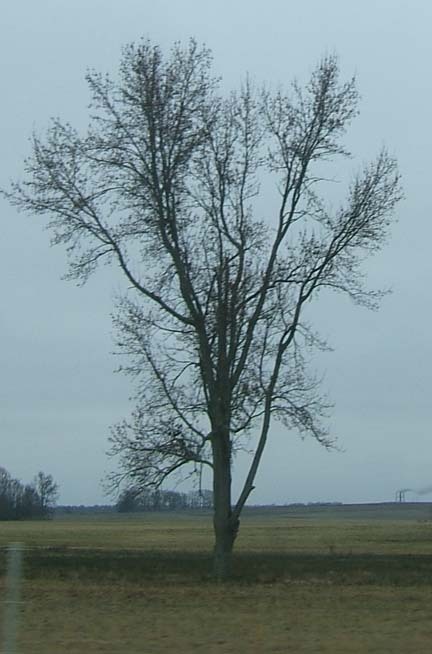 i, too, have always appreciated the silhouette of what i call “bald” trees in winter- and that soft, low light. Stephanie, I think we talked about it before . . . my mother was from sand mountain. She was born in Albertville and grew up around Albertville and Boaz. We’re not that far from there. What I didn’t expect was that I would have such a deep feeling of being “at home” in these surroundings after being gone for so long. Is this true for all of us? I suspect we never lose that home that’s embedded in our memories. Yes, that does ring a bell…I used to drive through Albertville on the way to my mom’s. I remember it as a pretty, quaint southern town with a very nice feel. The scenery in those parts is pretty. I feel the same: a deep sense of comfort and peace whenever I’m in my hometown (Birmingham). Stephanie, one of my favorite memories over the years was driving back here for visits from Florida. When we hit Birmingham it was like “ahhhhhh!” Birmingham was so beautiful and it meant we were almost home. What a beautiful color palate for a painting. Yes! It is, isn’t it?